After finally taking the steps towards publishing a childhood story, Seraphina began to feel the ware of her work. Once a kid who loved to create, she now has to answer to her editor and publisher in order to get her story heard. After slowly starting to hate the characters and story she once loved, Seraphina is transported to and trapped in the fairytale she wrote with no way of getting out. Can she create a “happily ever after” to escape the prison she wrote herself into? 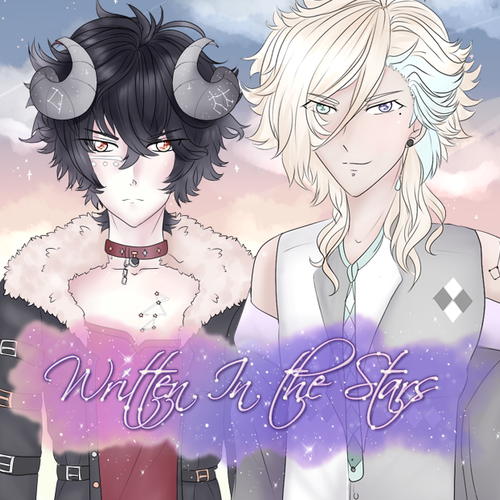 Written in the Stars is an otome game done for a 7 day challenge featuring 2 male love interests, branching routes and multiple endings. Note: There is a possibility for BL (MxM Romance) if you're not okay with that then likely my games aren't for you. The game is based on branching routes in an all-VN experience. (Unlike my previous games, it plays out more through written text and choices rather than scheduling raising simulation elements.) The game will be available for Windows, Mac and Linux for free on itch.io. There’s nothing inherently bad, as the story is very much about recapturing childhood. 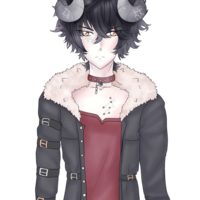 As it is a romance game, there are implied sexual encounters (particularly in Azreal’s route which will be addressed in his character info) as well as mild language (Hell, Damn mainly). The challenge is to create and code a VN in 7 days based on polls and surveys from DA and twitter. The voice acting is not confined to this deadline but I am to be finished in 5 days time~! 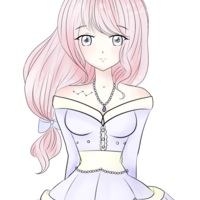 Though creative and thoughful, Seraphina is a bit of a sarcastic and petty woman who needs things to go her way. She goes out of her way to get revenge for small things. Please note the pronunciations in the 'about' section. Seraphina is the heroine of the game who is in the midst of bringing a childhood story to life in the form of a graphic novel. She becomes literally trapped in the world she created and must complete the story as the protagonist with a "Happily Ever After" in order to leave. She will only have major lines voiced. "There was a time when I knew how to fly. I would be afternoon deep in a daydream, worlds would clutter my floor in the form of half-used sheets of paper. There was something about the way fresh paper felt and smelled that made me feel that anything was possible. Slowly, my dreams became less fantastical being restrained by logic and rationality. The characters I loved dearly strayed, becoming morally obligated to have meaning to satisfy the monster growing inside me. ...but it wasn’t long until they were gone forever. "Azreal... I can search the highest of mountains to the deepest of rivers but in my heart I know: I'll never find someone more annoying than you." Azreal acts aloof and cold out in public, flaunting a tough but laid-back exterior. In private, he's sentimental and is willing to open up to the main character. At one point in the story, Azreal is 'corrupted' due to a spell that was placed on him. This basically means that he is unable to control himself and becomes comparable to an actual demon. You can have fun with what corruption means in your voice work if you'd like, as long as he sounds mean. - Able to play quiet moments as well as standard lines. Azreal is a character in Seraphina's graphic novel and character from her childhood. When she's transported into her story, Azreal is the first of her characters she meets. In Azreal's route there is are implied romantic encounters. There is a scene with the main character where they're together in her room after declaring their love for each other. [spoiler image]He looks down at her and says a few things before the scene blacks out. Even though the scene doesn't show or state anything, I do ask that his VA be over 18 for the implied content within. [Sarcastic / mean / Tsundere-ish] "You can try to upset me all you want but the only thing that'll get hurt is your feelings." [Warmly /Quietly / intimately] "I never forgot. As long as this place lived on within me, my existence was worth the while even when I had long since broken apart. All this time that I've felt lost, I never realized that what I was looking for was you. I owe you for my best memories, and I want to spend my life making even better ones with you. " "Goodbye, Seraphina. We'll have an eternity to catch up in hell." 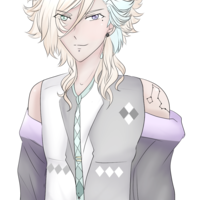 Angelo is a self-absorbed pretty-boy who is actually rather shy and self-conscious when he lets his guard down. He claims to be an all-powerful sorcerer, but his power is anything but... powerful. He often flirts with Seraphina and tries to scare or overpower her but she often ends up hitting back and embarrassing him. Because of the suggestive themes in his dialogue I prefer a VA who is also over 18. Angelo is created by Seraphina and she meets him for the first time in-world when she's trapped. He claims to be able to help her, so she chases him until she finds out that he's not as powerful as he claimed. He's the secondary love interest to Azreal. [Confident / teasing / flirtatious / darkly / softly] "I can kiss you until you never want to kiss anyone else. Hold you until you know no other home but my arms. I could captivate you, entrance you... [Darkly / low]then break you. The thought of seeing you in pieces... it exhilarates me. Mei is meant to appear as though she's a mary-sue: Perfect in every way, likeable and thoughtful with the only "flaws" being cutesy clumsy and anxious. Mei is actually a power-hungry monarch that wishes to use Angelo and Azreal to her advantage. Her main role is in Azreal's plotline when she hopes to use his corrupted form to seize control of the kingdom. She's heartless and cruel but hides behind a sweet smile. Mei is the prince's fiancee. 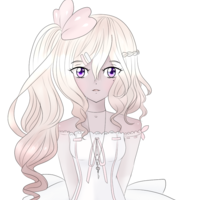 She has differing roles in Angelo and Azreal's routes respectively, but is the primary antagonist of the game. She's annoyingly cutesy, neurotic and selfish. She appears to be a mary-sue (Perfect in every way) but she's a blood thirsty monarch that lusts for power. Even though nothing is shown or voiced, I prefer the voice actress to play her to be over 18. She makes a few sexual innuendos when trying to hurt Seraphina. [Annoyingly sweet] "So what can I help you with Ini?" [Tearfully] "Oh... um... He's not here at the moment... If only I could be of more assistance... I'm sorry, Ini!" [Annoyingly cheerfully] "Yay~! Ini forgives me! I'm so happy." [Still sweetly but somewhat cold] "Did he kiss you?" "Well... That's a shame, Ini." [heartlessly] "Angie is a great kisser." [Pretending to be sweet but flaunting to hurt her] "Oh? Did you know? I'm one of Angie's special girls. I may be one of many but he tells me that I'm his favourite. We're what you might want to call... Intimate friends, perhaps?" Ember is the main character that is Seraphina's creation. She's never seen on-screen but does leave letters for Seraphina before she disappears. She and Seraphina cannot exist at once. She acts as a 'tutorial' in a sense. Note: her lines appear via CG and CANNOT be changed. 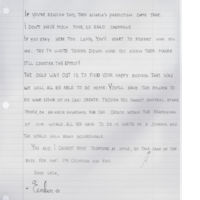 They are on hand-written letters. Please read carefully and please do not change any words. She should sound elegant and confident. Her accent isn't super important but I prefer southern Ontario or TV American accent since she's a character made by a Canadian writer. If you’re reading this, then Angelo’s prediction came true. I don’t have a lot of time so read carefully. If you stay here for too long, you’ll forget who you are. will help counter the effect? The only way out is to find you happy ending. That way we will all be able to go home. You’ll have the power to do what none of us can: Create. Though you cannot control other people, or re-write situations, you can create within the framework of our world. All you have to do is write in a journal and the world will react accordingly. boys for me. I’m counting on you.